Cabbage (Brassica oleracea) is a vegetable that is used in many countries in Latin America where it was introduced by Spanish and Portuguese settlers. In many countries, including Honduras, Costa Rica, the Dominican Republic, Cuba and Brazil, cabbage is often used in salads. A common salad in Cuba, theDominican Republic and in other Latin American countries, is shredded cabbage with sliced tomato (Figure 1) (Figure 2). Cabbage has longer shelf life that other leafy greens due to its waxy cuticle and tight head (Figure 3) (Figure 4). Cabbage is also used with other vegetables such as cauliflower, carrots, and cauliflower to make encurtido (“pickled” in Spanish) (Figure 5). Encurtido is served fresh or is more commonly canned for storage. Jars of encurtido can be found on many tables in restaurants to be used as a condiment. In Brazil, cabbage is a staple in the Northeastern part of Brazil and is often used as a substitute for collards. It is also used in salads that with tomatoes, onions, and mayonnaise (Figure 6). 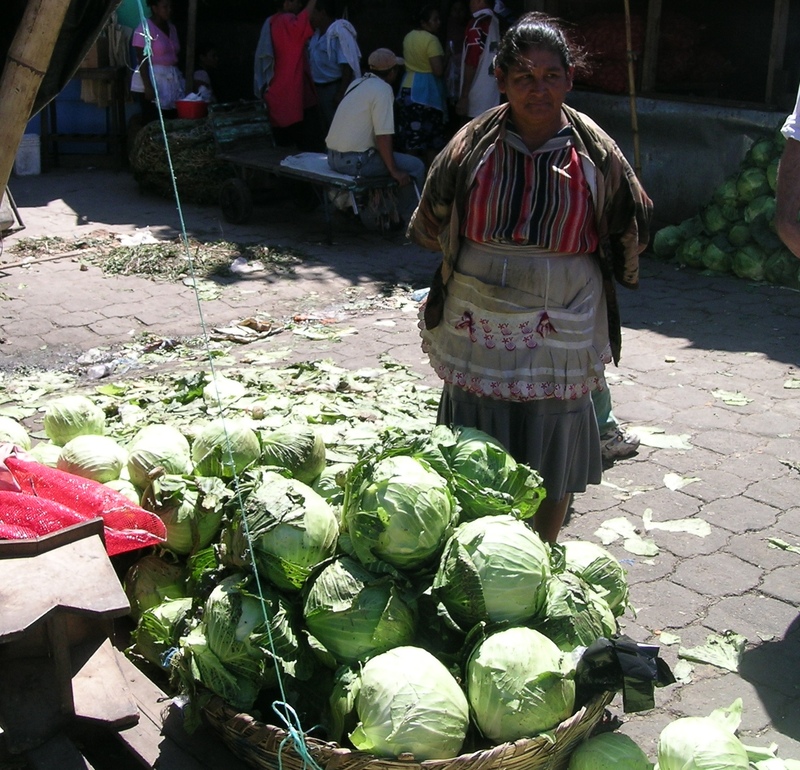 Both green and red types of cabbage are grown and marketed in Honduras and Costa Rica. In Costa Rica, the most used variety is “Stonehead”, followed by “Golden Acre”. The market wants round, compact heads. In Brazil, there are many heat tolerant varieties. These include "Louco de Verao", "Fuyutoyo", "Saiko", "Astrus" and "Saturn". Red cabbages are becoming more common, with varieties “Red Jewel" and "Red Dynasty".